First Time in St. Kitts? Here’s the perfect Gastronomic Guide to see you through! The two-island nation may be tiny but it has a big heart — offering a host of picturesque, rain-forest adventures, uncrowded beaches, tropical foliage, dormant volcanoes, splendid hotels with the most lavish amenities, and a deliciously diverse food scene. The friendly and mellow local culture is teeming with a soca beat, while the gastronomic scene is thriving, pulsing with a wide array of flavor palates and scrumptious delights to leave the tourists in a state of awe! If it’s your first time visiting the breathtaking island of St. Kitts and Nevis, Here are a few cuisines that you wouldn’t want to miss out on. 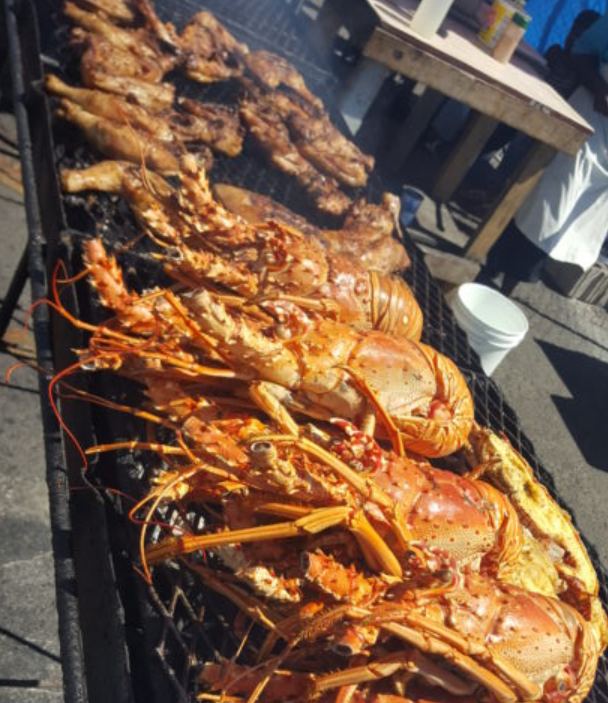 Piquant and spicy pork and jerk chicken are all the rage across the Caribbean Islands, and street-food vendors on St. Kitts are no different when it comes to charring barbecued meat over oil drums along the seafront, reeling in the tourists with their heady aroma wafting out in the tropical breeze. Friday and Saturday, especially, see boisterous throngs of street food aficionados looking for their favorite meats for an early weekend dinner across myriad stalls set up along the sea front. Take your time with the vendors and visit as many as possible, as some offer delightful Caribbean delicacies, such as goat water (a spicy and flavorful stew of breadfruit and goat meat) and black pudding. Wash it all down with a chilled fresh coconut water sold at most StreetSide stalls, and revel in its sweetness. How can you expect to visit an island as teeming with sea life as St. Kitts, and leave without having your fill of the numerous gastronomic heavens that the sea has to offer? As such, we recommend that you start with Conch, a seafood dish which is the pride of most beach bars and restaurants sprawling across the Island. A conch is a massive sea snail under a beautiful pink shell which you can find in most craft markets. Its scrumptiously chewy texture makes it a perfect option to mix with an egg and flour batter to prepare deep fried conch fritters. Served either as lunchtime snacks or on their own, they taste best with a zesty dipping sauce. After you decide that you cannot down more conches, why not get your hands at conch chowder, a perfectly creamy soup infused with finely chopped vegetables and garlic, devoured with freshly prepared bread. If conches aren’t your thing, may we recommend Wahoo, a delicious white fish served up with coconut scented jasmine rice and seasonal vegetables, or slathered over warm cream cheese bagels for breakfast, seasoned with a dash of paprika and freshly ground black pepper. 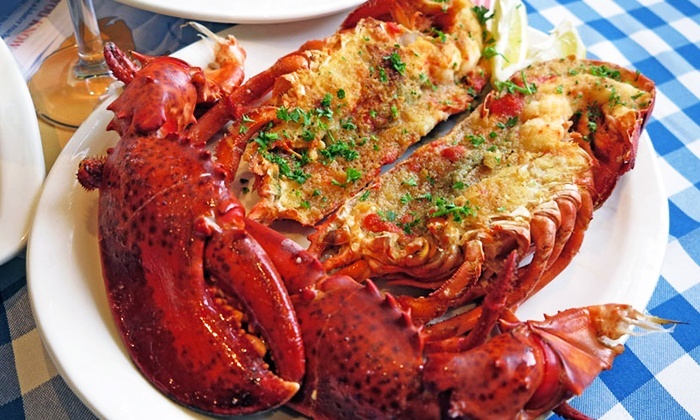 Since Lobsters are abounding across the Island, almost all eateries at the island from the most rustic beach shacks to the swankiest restaurants, proudly serve their own take on the quintessential opulent sea food option, leaving you spoilt for choice. Since the Island of St. Kitts and Nevis receive plenty of Indian tourists, the island is a treasure trove of Indian cuisine, with their heady blend of exotic spices, swooning aromas, and piquant herbs, making you dance in joy. A lot of Indian restaurants in St. Kitts cater to the south-Asian palate, as well as that of more experimental tourists, with all the delights that Indian cuisine has to offer, be it a platter of piping hot Biryani, a handi of chicken makhni topped with dollops of freshly churned butter served with butter naan, a bowl of melt-in-your-mouth malai kofte sprinkled over with fresh garam masala and chopped coriander, or a drool-worthy snack of chole bature, crispy chana chaat, fluffy masala dosa, or hot and sour pani puri, all the tastes of India have reached the farthest corners of the Caribbean islands, blending in perfectly with the outlandish ambience. You haven’t truly experienced all the gastronomic pleasures of the Island without getting your hands at the national dish of Johnny cakes and salt fish. 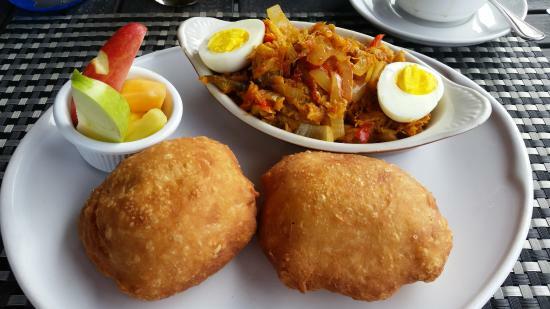 The dried and salted cod fish is stewed in a scrumptious sauce of peppers, tomatoes, and onions, and served alongside Johnny cake, a deep fried cornmeal dough ball that tastes best fresh out of the pot. Most street vendors serve up the fare with all its accruements of breadfruit, plantains, and white coconut dumplings. 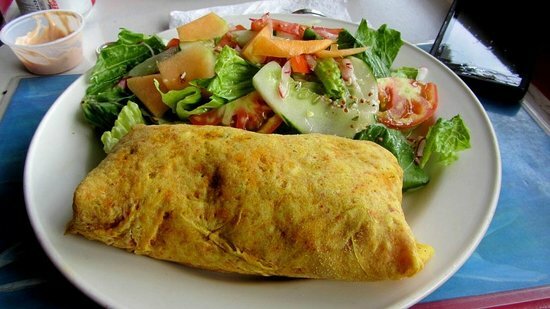 Another delightful fare which is a pride of the island is the Caribbean version of tortilla like wrap or pancake, known as Roti, albeit rather light than its counterparts. It can be filled with a wide array of stuffing, such as chick-peas, shrimp, mutton, fiery jerk chicken, or curried meat, in addition to various vegetarian fillings. Enjoy them as a snack after a hectic day of kayaking, or simply when you are relaxing on the beach.